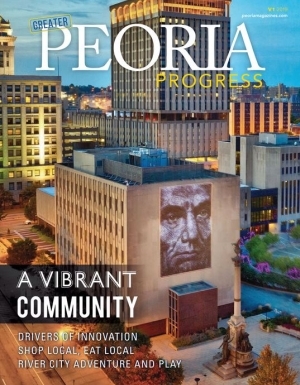 Peoria Magazines is Greater Peoria’s resource for business, community, lifestyle and art. 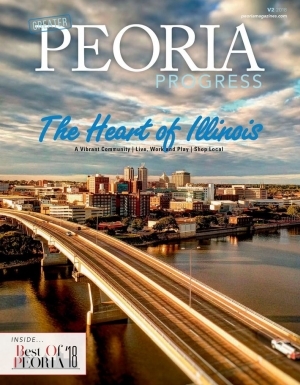 Founded in 1989, Peoria Magazines (Central Illinois Business Publishers/CIBP) has served the region for 30 years—building community, developing partnerships and educating the public. The company publishes two magazines and a weekly e-newsletter; hosts special events and programs throughout the year; offers contract publishing services; and produces projects for print and the web. Full of local news and events, the Central Illinois Perspective is delivered via email every Wednesday to more than 2,700 area residents. Check out the P.S. Blog for supplemental material to print articles, special features and other “extras”—always interesting, unique and community-oriented content. Peoria Magazines offers contract publishing services and custom marketing for special projects, both in print and online. Recent work includes the Live GP booklet for the Greater Peoria EDC and the Heart of Illinois United Way Community Assessment. Download our media guide to learn more about advertising with Peoria Magazines! For more information, call (309) 683-3060.